Yesterday we reviewed the major trades in the American League, where the New York Yankees and Oakland Athletics got high marks for the Sonny Gray trade and the Baltimore Orioles got poor marks for their inability to move, well, anyone. Today, it’s the National League’s turn. Acquired RHP Brandon Kintzler from the Minnesota Twins in exchange for LHP Tyler Watson. Acquired LF Howie Kendrick from the Philadelphia Phillies in exchange for LHP McKenzie Mills. Acquired RHP Ryan Madson and LHP Sean Doolittle from the Oakland Athletics in exchange for RHP Blake Treinen, LHP Jesus Luzardo, and 3B Sheldon Neuse. It’s a safe move by Mike Rizzo, but it’s not enough. If the Nationals truly want to contend for the World Series, they need to pick up one more quality arm to work out of the ‘pen. Madson and Doolittle are great pieces, but the Nationals still lack that one bullpen arm they can turn to in high-leverage situations. Find that piece, and the Nationals go from World Series hopefuls to serious contenders for baseball’s biggest prize. Adding Brandon Kintzler is exactly what the doctor ordered. He’s not a flashy strikeout guy, but he’s currently tied for third in MLB with 28 saves and holds a 2.78 ERA in 45.1 innings. Is a bullpen of Doolittle–Madson–Kintzler going to be enough to win the World Series? It’s too early to say, but it’s definitely a heck of a lot better than trying to get through October with Matt Albers, Blake Treinen, and Koda Glover. The minus in the grade comes from the failure to acquire a back-end starting pitcher, with injury concerns around Stephen Strasbourg and now Max Scherzer. Sent RHP AJ Ramos to the New York Mets for RHP Merandy Gonzalez and CF Ricardo Cespedes. Sent RHP David Phelps to the Seattle Mariners for RHP Brandon Miller, CF Brayan Hernandez, RHP Lukas Schiraldi and RHP Pablo Lopez. A lot of smoke but no fire for the Marlins this summer, as chatter picked up around a trio of outfielders potentially on the move in Christian Yelich, Marcell Ozuna, and even Giancarlo Stanton. The team has numerous big contracts (Stanton’s deal runs through 2027, though it does include a player opt-out after 2020), but there’s not enough starting pitching to keep them in the playoff hunt this year or next. These were conservative moves from a management team that doesn’t want to hear the word “rebuild,” but might have to consider a full-blown yard sale over the offseason. 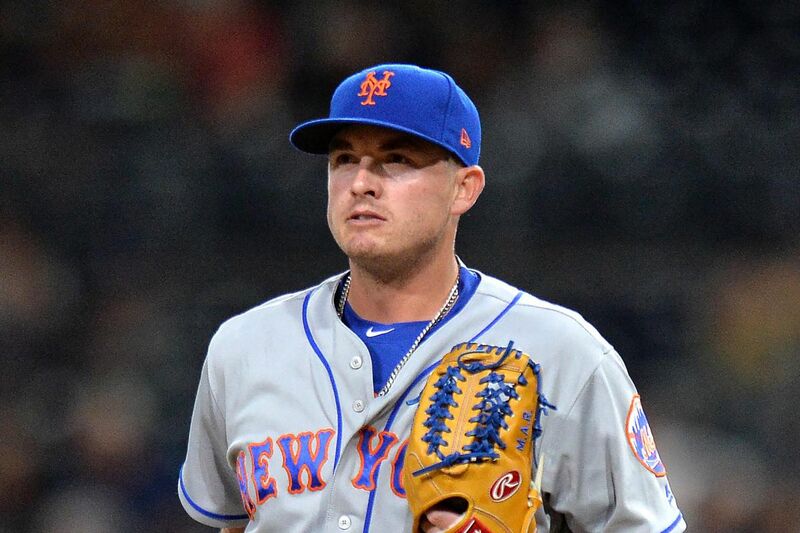 Sent RHP Addison Reed to the Boston Red Sox for RHP Gerson Bautista, RHP Jamie Callahan, and RHP Stephen Nogosek. Acquired AJ Ramos from the Miami Marlins in exchange for RHP Merandy Gonzalez and CF Ricardo Cespedes. Sent 1B Lucas Duda to the Tampa Bay Rays for RHP Drew Smith. Sent C Anthony Recker and LHP Jaime Garcia to the Minnesota Twins for RHP Huascar Ynoa. I’m not a huge fan of the Garcia deal. I feel like the Braves pulled the trigger on Garcia too early, and might have been able to get a slightly better haul from another team than the Twins; Ynoa doesn’t even crack their top 30 prospects. That being said, the Braves have a loaded farm system that should help this team contend in a few years. Patience is the key with this organization right now. Sent RHP Joaquin Benoit to the Pittsburgh Pirates for RHP Seth McGarry. Sent RHP Jeremy Hellickson to the Baltimore Orioles for LF Hyun Soo Kim and LHP Garrett Cleavinger. Sent LF Howie Kendrick to the Washington Nationals for LHP McKenzie Mills. Sent RHP Pat Neshek to the Colorado Rockies for RHP Alejandro Requena, RHP JD Hammer, and SS Jose Gomez. Like the Chicago White Sox, the Phillies sold everything that wasn’t bolted down. However, the White Sox had better pieces to sell. The Phillies got a number of prospects back at the deadline, though none of them are exactly can’t-miss. Gomez, the main piece in the Neshek deal, is a solid prospect, but ranks more as a utility infielder than a difference-maker on defense. Still, it’s hard to see how the Phillies could have gotten much better for the pieces they had at their disposal. Acquired LHP Jose Quintana from the Chicago White Sox in exchange for LF Eloy Jimenez, 2B Bryant Flete, RHP Dylan Cease, and 1B Matt Rose. Acquired C Alex Avila and LHP Justin Wilson from the Detroit Tigers for SS Isaac Paredes and 3B Jeimer Candelario. On the Cubs’ wish list at the deadline was a controllable starter, a veteran catcher, and a bullpen arm or two. They got three of the best options on the market in all categories. Quintana is a great lefty option that helps balance the starting rotation. Alex Avila is having a career year, and should help Willson Contreras get a bit more rest. Justin Wilson was one of the best lefty relievers on the market, and he adds another valuable cog in the Cubs’ bullpen machine. I agree with all the acquisitions; the only reason they don’t get higher marks is the steep price they had to pay. Jimenez, Flete, Paredes, and Candelario are great prospects, and the cupboards of the Cubs’ farm system look pretty bare. Acquired RHP Anthony Swarzak from the Chicago White Sox for CF Ryan Cordell. Last week Brett wrote that the Brewers needed to buy; in particular, he suggested they pursue Sonny Gray, Carlos Gomez, and Ian Kinsler. In the end, the Brewers bought from the bargain bin, getting Jeffress for cheap from the Rangers and Swarzak from the White Sox to bolster the ‘pen. With an eye to contending this year, these moves would merit an F; however, the Brewers have one of the top farm systems in baseball, and putting everything into a battle royale with the Cubs this season would be foolish. Since they couldn’t buy without really harming their long-term plans, they picked up pieces in preparation for the next few years. Sent LHP Marco Gonzales to the Seattle Mariners for RF Tyler O’Neill. The trade with the Mariners was a surprising coup for the Cardinals; Gonzales is not a highly rated prospect, and St. Louis was able to buy-low on O’Neill, a power-hitting outfielder who’s struggling this season after a breakout 2016 campaign. But the Cardinals won’t make the playoffs this year, and should have done more to move Lance Lynn, Tommy Pham, or Jedd Gyorko. The needle is still trending downward in Busch Stadium. 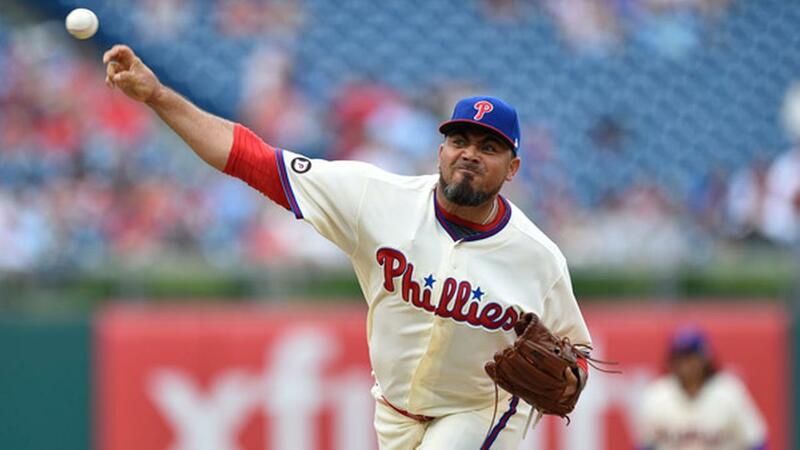 Acquired Joaquin Benoit from the Philadelphia Phillies for RHP Seth McGarry. The Benoit deal made no sense to me, particularly as the Pirates have assigned him to Triple-A, but at least they didn’t give up much to get him from Philadelphia. The Watson deal, on the other hand, was an excellent move by the Buccos. The centerpiece of the deal was Oneil Cruz, a big athletic left-infielder who is a ways from the Show but has big upside. So why the lower grade? I thought they could have been more aggressive sellers, perhaps even shopping one of their trio of strong outfielders. The Pirates are stuck in the middle right now, and may need to swing hard to one side to compete in the Central. Sent LHP Tony Cingrani to the Los Angeles Dodgers for LF Scott Van Slyke and C Hendrik Clementina. The only move the Reds made was with the Dodgers, sending Cingrani out west in exchange for young catching prospect Clementina. I’m not a fan of the move, and I feel the Reds could have done more to sell and rebuild a farm system that’s just outside baseball’s top 10. It’s hard to fault them too much though; they didn’t have all that much they could sell, particularly after Zack Cozart hit the disabled list. Acquired RHP Yu Darvish from the Texas Rangers for 2B Willie Calhoun, RHP AJ Alexy, and SS Brendon Davis. Acquired LHP Tony Cingrani from the Cincinnati Reds in exchange for LF Scott Van Slyke and C Hendrik Clementina. We were already talking about the Dodgers as an all-time great regular season team (they can play under .500 the rest of the way and still win 100 games). Then, they get better by acquiring one of baseball’s top pitchers in Yu Darvish. When Kershaw gets back from the DL, the one-two punch of Kershaw’s curveball and Darvish’s slider will be the best in baseball, and Dave Roberts is going to have a tough time figuring out which great pitcher to remove from the rotation. Watson and Cingrani are both effective relievers that lengthen the bullpen and help in lefty-lefty matchups. Best of all? The Dodgers did it all without trading away top prospects Alex Verdugo, Walker Buehler, or Yadier Alvarez. World Series favorites? Bet on it. Acquired Jonathan Lucroy from the Texas Rangers in exchange for a Player To Be Named Later. Acquired RHP Pat Neshek from the Philadelphia Philles in exchange for RHP Alejandro Requena, RHP JD Hammer, and SS Jose Gomez. Acquiring Pat Neshek was a great move for the Rockies, who have one of the best bullpens in baseball. They did it without giving up too many prospects as well. They added veteran Jonathan Lucroy, who has fallen off a cliff this year and may continue to be ineffective; if so, it’s no loss for the Rockies, who basically just took Lucroy’s contract off Texas’s hands. I wonder if they will regret not adding an impact starter, particularly as they seemed destined to play in a winner-take-all wildcard game in early October. Acquired RF JD Martinez from the Detroit Tigers in exchange for 3B Dawel Lugo, SS Jose King, and SS Sergio Alcantara. The D-Backs have to love what they got in the JD Martinez trade, adding an impact bat in the heart of their already-potent lineup for a small cost in low-A prospects. I would have liked to see them more active in the bullpen market, only acquiring David Hernandez from the Dodgers. Injuries are the big problem for Arizona right now, with Robbie Ray on the 7-day DL with a concussion and a big hole at short after Owings went down. The injuries happened too late for the D-Backs to put together much of a deal to replace them. Sent RHP Brandon Maurer, LHP Ryan Buchter, and RHP Trevor Cahill to the Kansas City Royals for 2B Esteury Ruiz, LHP Matt Strahm, and LHP Travis Wood. Lefty reliever Brad Hand remains with the club…and that’s a problem. The Padres should have sold high at the deadline, when contenders will pay through the nose to get an impact arm for October. San Diego’s asking price was apparently too high; if that’s the case, they’ll be dismayed at what teams offer for him in the offseason. As for the deal with the Royals, they got a haul of prospects but no one particularly impressive (Ruiz barely cracks the Padres’ top 30), and in the trade basically depleted all their trading pieces except Hand. A poorly-managed deadline from the Padres, who are becoming all-too familiar with ineptitude. Sent INF Eduardo Nunez to the Boston Red Sox for RHP Gregory Santos and RHP Shaun Anderson. The Giants have had a woeful season, and currently hold the worst record in the major leagues. They came into the season expecting to be buyers at the deadline, so they didn’t have many pieces on the roster to sell. Nunez to the Red Sox isn’t a bad deal, but Santos and Anderson don’t exactly tilt the needle of a weak Giants’ farm system. Management needs to decide in the offseason what direction to take this team, and make the necessary trades at that time.